Kevin O’Donnell of Nova Energy Consultants, Inc. has appeared as an expert witness or assisted in the settlement process in over 60 utility regulatory cases. 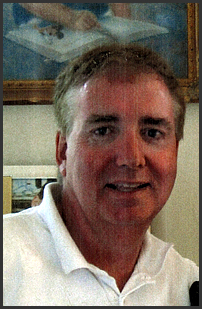 Kevin W. O'Donnell, is the founder of Nova Energy Consultants, Inc. in Cary, NC. Mr. O'Donnell's academic credentials include a B.S. in Civil Engineering - Construction Option from North Carolina State University as well as a MBA in Finance from Florida State University. Mr. O'Donnell is also a Chartered Financial Analyst (CFA), which is a highly sought-after designation primarily found in the Wall Street investment community. Mr. O'Donnell has over twenty-five years experience working in the electric, natural gas, and water/sewer industries. He is very active in municipal power projects and has assisted numerous southeastern U.S. municipalities cut their wholesale cost of power by as much as 67%. On Dec. 12, 1998, The Wilson Daily Times made the following statement about O'Donnell. Although we were skeptical of O'Donnell's efforts at first, he has shown that he can deliver on promises to cut electrical rates. In May of 1996 Mr. O'Donnell testified before the U.S. House of Representatives, Committee on Commerce, Subcommittee on Energy and Power regarding the restructuring of the electric utility industry. More recently, Mr. O'Donnell has worked as a consultant to independent (e.g. non-Power Agency) municipalities in the Carolinas in numerous filings before the Federal Energy Regulatory Commission. Mr. O'Donnell is also a frequent speaker at seminars around the country on issues related to municipal aggregation and municipalization. Mr. O'Donnell has submitted testimony as an expert witness in over 40 regulatory proceedings before the North Carolina Utilities Commission, the South Carolina Public Service Commission, the Virginia Corporation Commission, and the Florida Public Service Commission. His area of expertise has included rate design, cost of service, rate of return, capital structure, nuclear decommissioning, gas expansion feasibility studies, fuel adjustments, merger transactions, cogeneration studies, holding company applications, as well as numerous other accounting, financial, and utility rate-related issues. Mr. O'Donnell is the author of the following two articles: "Aggregating Municipal Loads: The Future is Today" which was published in the Oct. 1, 1995 edition of Public Utilities Fortnightly; and "Worth the Wait, But Still at Risk” which was published in the May 1, 2000 edition of Public Utilities Fortnightly. Mr. O'Donnell is also theco-author of "Small Towns, Big Rate Cuts" which was published in the January, 1997 edition of Energy Buyers Guide. All of these articles discuss how rural electric systems can use the wholesale power markets to procure wholesale power supplies. 2001 NUI Corporation NC G-3, Sub 235 Carolina Utility Customers Assoc. Tariff change request. 2006 IRP in North Carolina NC E-100, Sub 103 Carolina Utility Customers Assoc. Submitted rebuttal testimony in investigation of IRP in NC.